Do you have the need for an ornamental tree in your yard that has an appeal all of its own? Are you looking for a tree that can open a conversation with your neighbors, is easy to care for and low in maintenance? We would love to share some information about the paperbark maple tree and its aesthetic qualities that will add some rich dimension to your landscape! The paperbark maple is native to central China and was introduced to the United States in the beginning of the 1900’s. Since then, this deciduous tree has grown as a landscaping favorite for those who love the look of unique ornamentals around their property. The look, the texture, the color and the leaf orientation do not resemble that of a typical maple, so it comes as a surprise to most who do not know what they are looking at. Chances are, however, that you would recognize the seeds that fall from the tree in a twisting helicopter fashion, or maybe you have seen some children peeling them apart and attaching them to their noses. All in all, once you get to know this tree, is to love it! While most would describe this tree as small in stature and perfect for a small yard, they don’ realize that this slow-growing tree has the full potential to grow twenty to thirty feet in height and fifteen to twenty-five feet in width! Flourishing in full sun to partial shade, this tree has a rounded crown, making it the picture perfect tree to plant for beautiful summer shade. Unlike the stereotypical maple leaf we are all used to seeing, the leaves on the paperbark maple are trifoliate! This means that each leaf is comprised of three leaflets, which would resemble poison ivy more than it does a maple leaf! In the spring and summer, the trifoliate leaves are a rich blue-green, giving way to a spectacular show of red and bronze in the fall season. 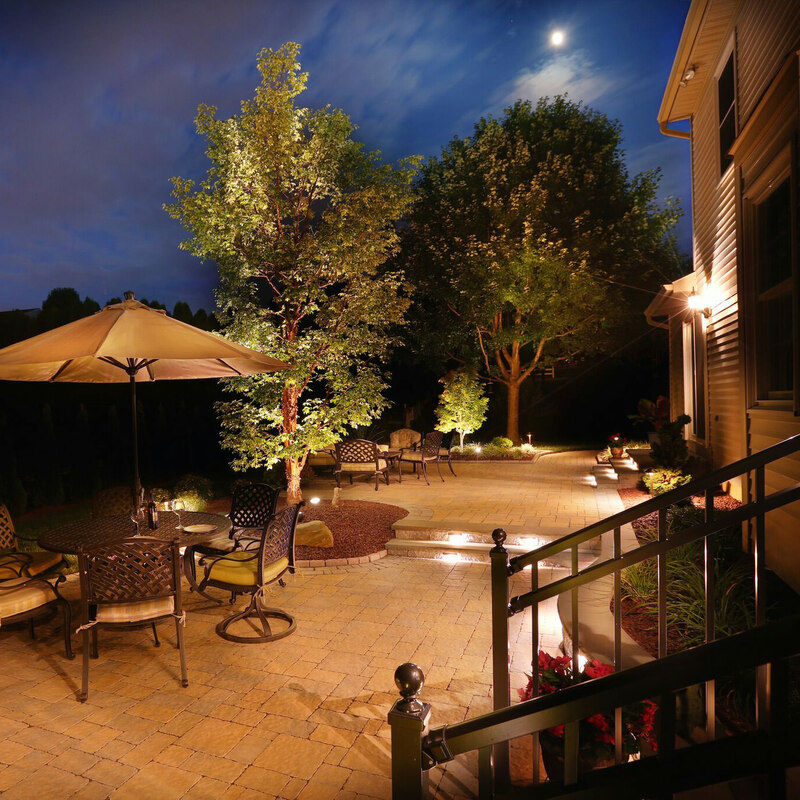 Planting this tree as a focal point in your yard or shining landscape lighting on it will heighten its natural attractiveness, no matter what the season! The paperbark maple is the last of the trifoliates to change color in the fall, but the real marvel of this tree is its bark! Within the second year of its life, this tree’s cinnamon-brown bark starts to exfoliate. What does it mean when a tree has exfoliating bark? Good question! The bark of the paperbark maple seems to peel back in curly thin sheets, but hardly ever falling to the ground, proving its low maintenance characteristic. The brown peeling bark reveals the reddish-brown tones underneath, giving it an attractive color contrast. 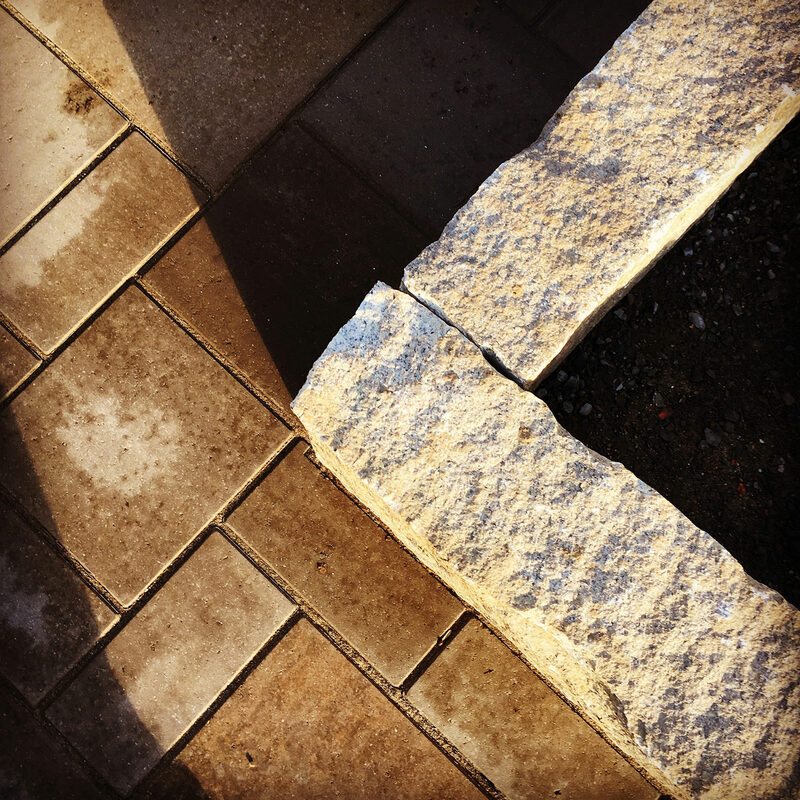 When you pair this tree with lush, green plantings or multicolored landscape stones, the beauty enhances in a way that is subtle yet spectacular! The leaves hang on well into the winter snow and the bark of this tree stands out as a rich reminder that spring will roll back around shortly. 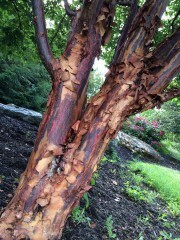 If you are looking for a truly “a-peeling” addition to your landscaping, the paperbark maple is your go-to! 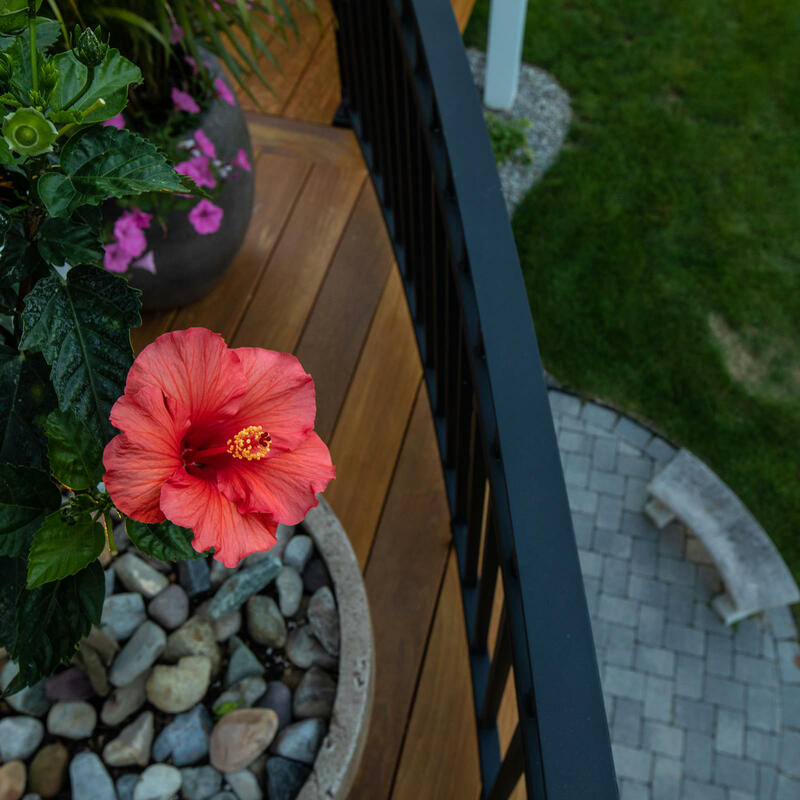 If you are looking for a go-to landscape designer to rely on for knowledge and expertise, look no further than MasterPLAN Landscape Design! 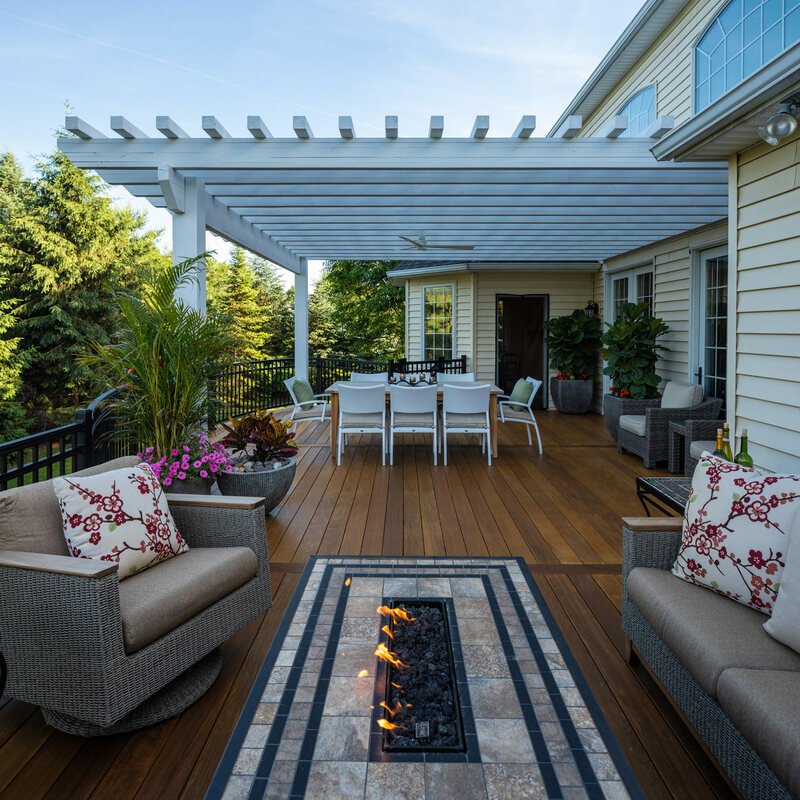 MasterPLAN is ready to help you turn your dream backyard into a reality by designing your custom master plan and managing the construction process to be seamless and hassle-free. 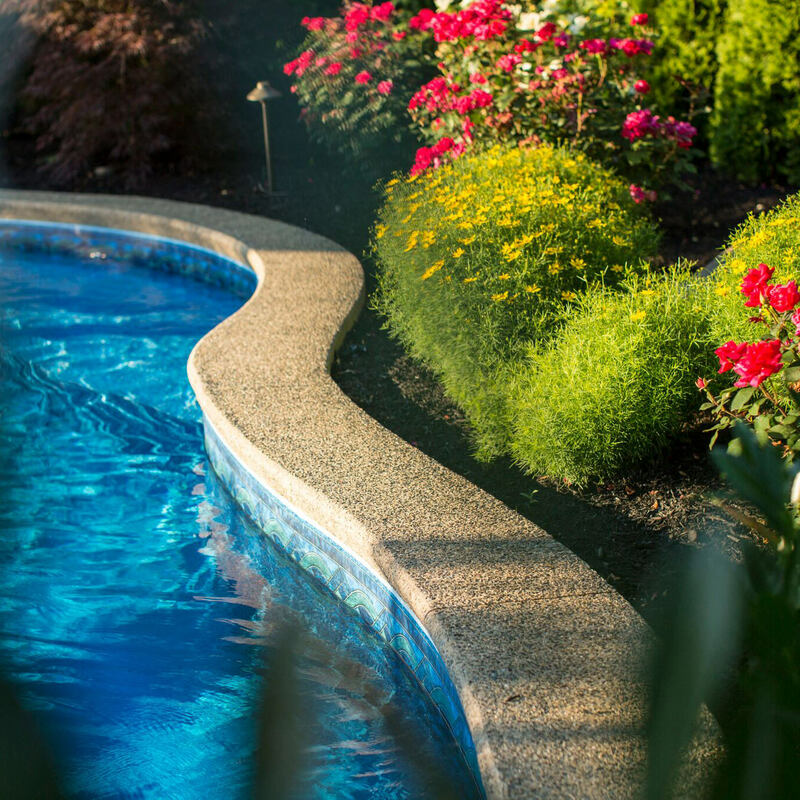 Serving the Poconos, the Lehigh Valley and continuing through the Philadelphia areas, we can assist you with your landscape design needs! 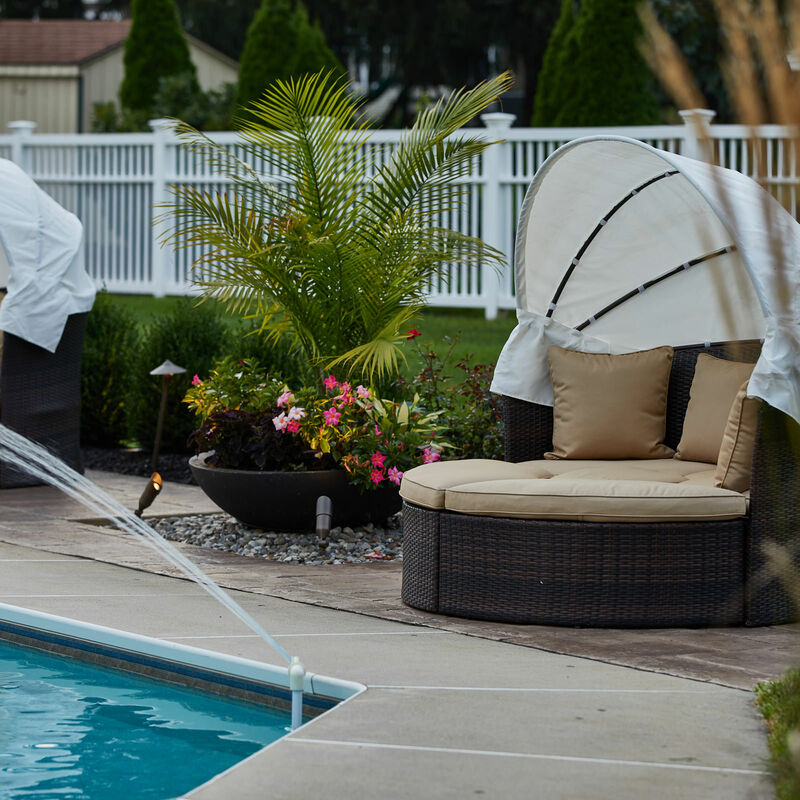 Let us show you our passion by designing and building an outdoor living space for you and your family to love and enjoy! When you are ready to reach out, we are ready to listen! 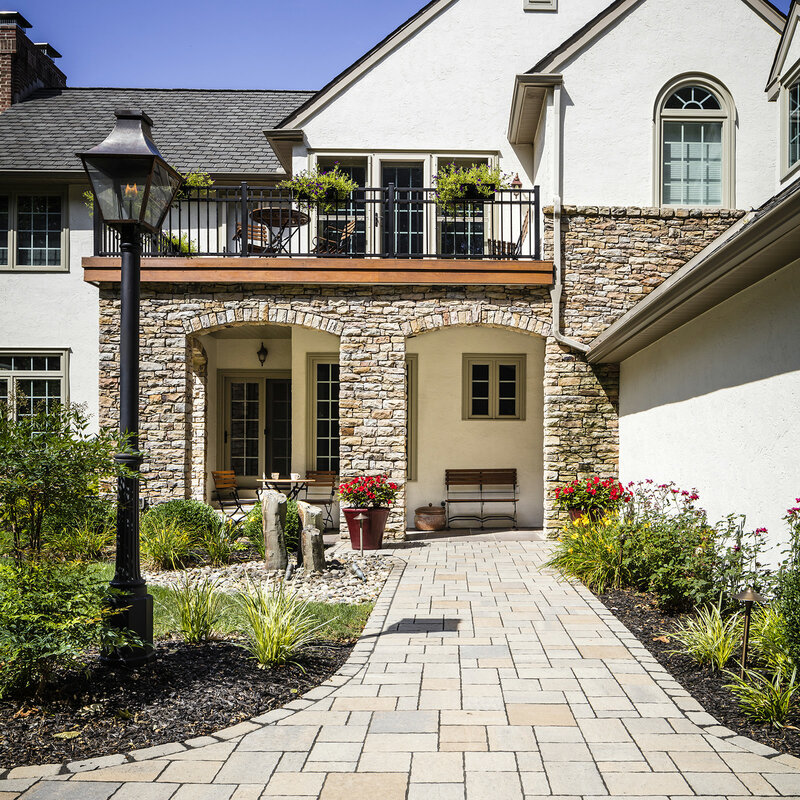 MasterPLAN specializes in timeless and low maintenance materials. 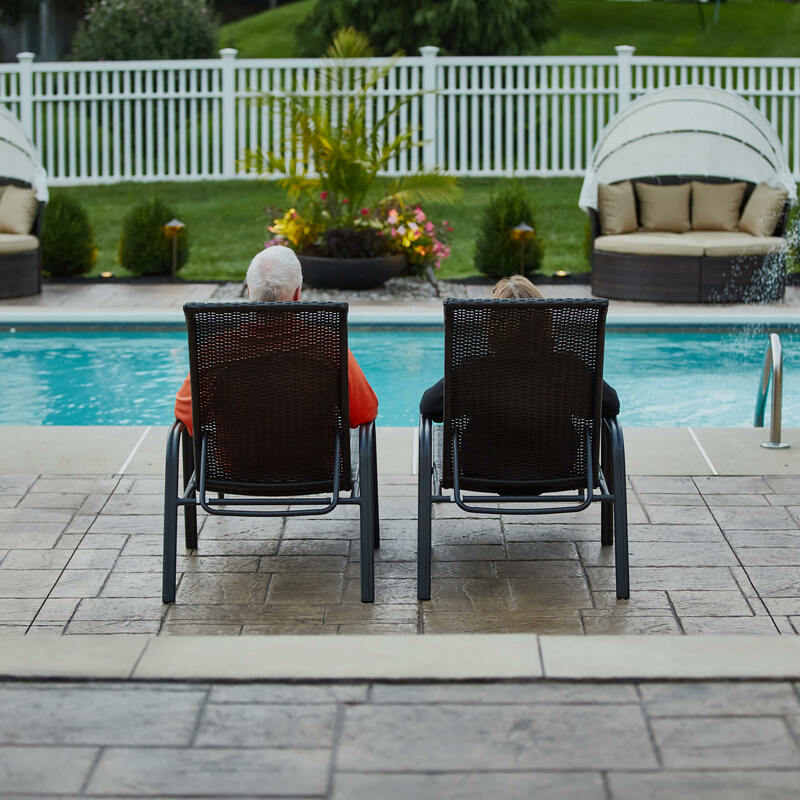 Chilly evenings have never felt so cozy and relaxing! 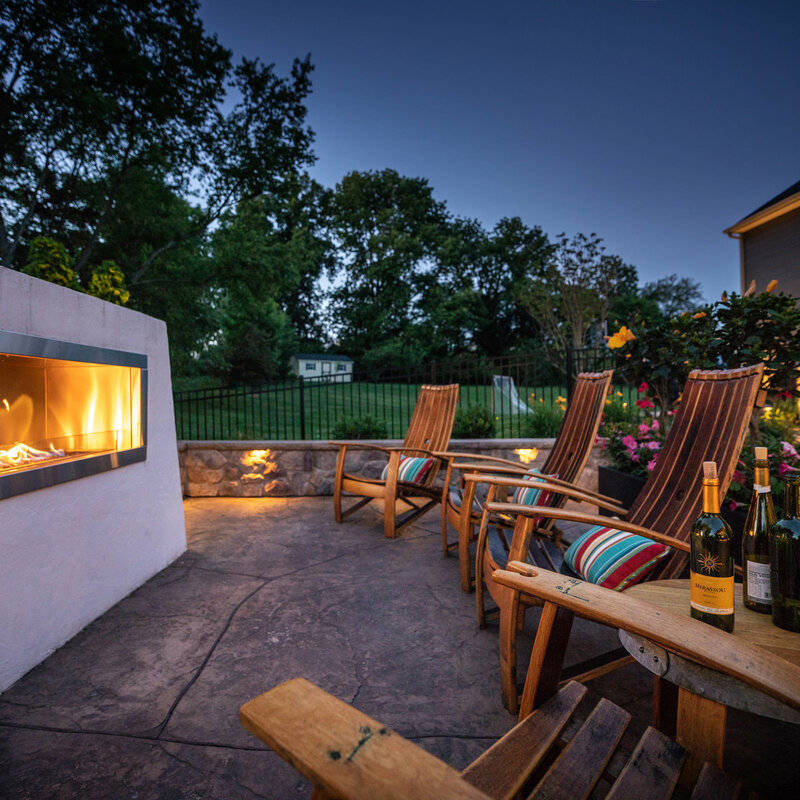 This custom fireplace is a favorite backyard destination for this Royersford family. When the sun sinks low, MasterPLAN projects come to life!